With capacity of 2,500 lbs/hr (1,134 kg/hr) the TOMCO Systems Dry Ice Block Press is the most robust and dependable system on the market. 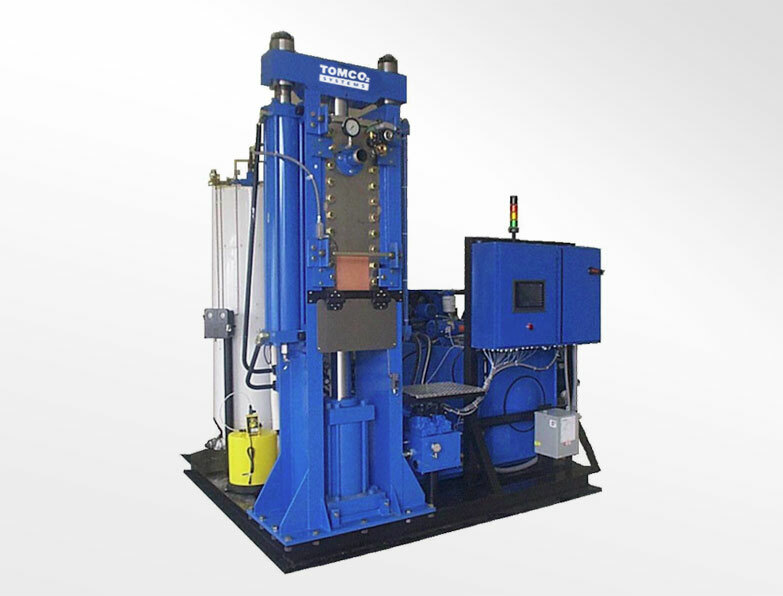 High density usable ice on first press, consistent and adjustable block weight, and fully automatic operation the single skid, self-contained block press is the industry standard. With over 50 years’ of CO2 experience and a comprehensive product offering from products, processing, storage, distribution, and application TOMCO is the CO2 expert.